Whether you're feeling blue about the end of the year or just like blue cocktails this New Year's Blues Sparkling Martini will perk you up and pop some color into the New Year. 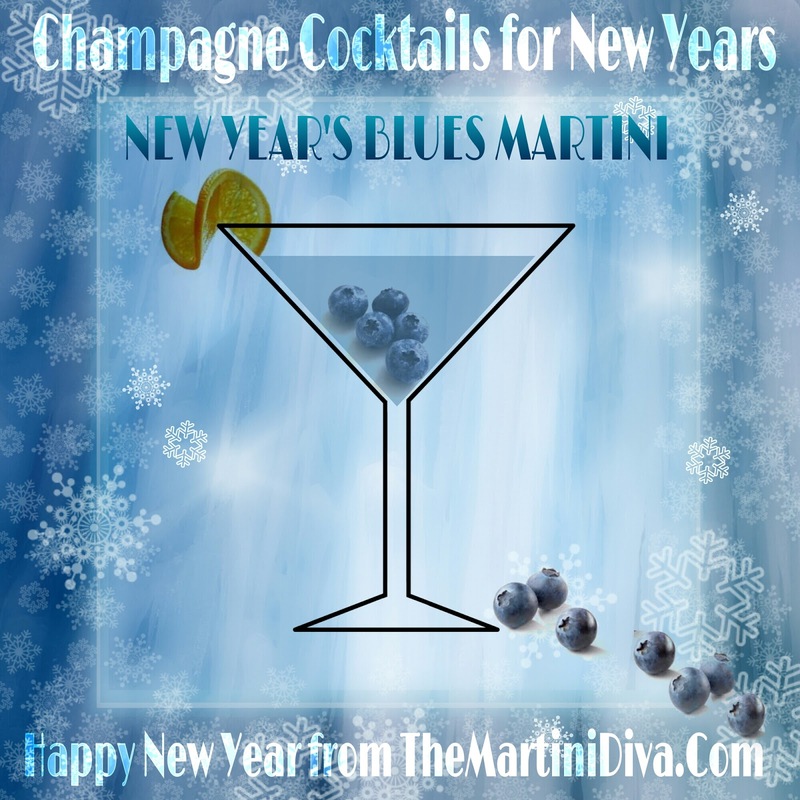 Add in the lovely antioxidants from the blueberries and you have a healthy way to ring in the new year. Rim the glass with sugar then chill the glass in the freezer. Add the Cointreau and blueberry juice to the chilled flute, then top off with chilled Champagne. Garnish with fresh blueberries and an orange wheel then serve.